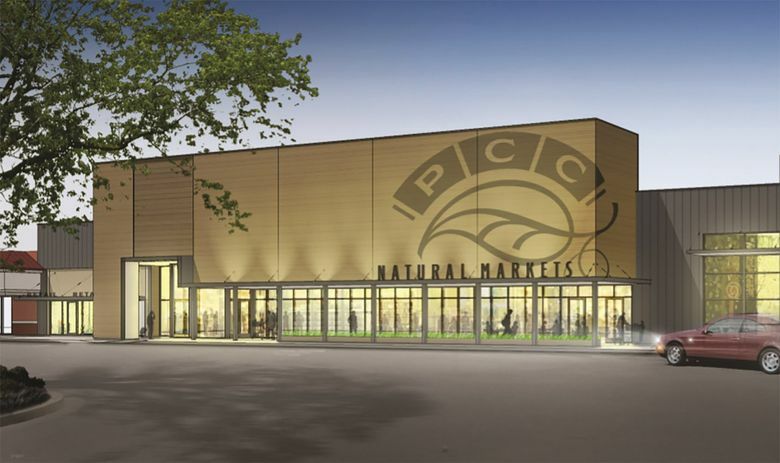 PCC Natural Markets plans to open its 12th store in Burien in early 2018. PCC Natural Markets, making its first foray to the south of Seattle, plans to open its 12th store in Burien in early 2018. The 20,000-square-foot store, in the Five Corners Shopping Center at 15840 First Ave. S., will employ about 100 people, according to the food co-op. The address previously housed a Haggen grocery store, which had taken over the Albertsons there. Albertsons later bought the store back during Haggen’s bankruptcy auction. PCC is leasing the building and will gut the interior and reface the exterior. A Trader Joe’s store is also in the shopping center. PCC has been expanding recently, opening locations at Green Lake, Columbia City, and Bothell within the past four years. It plans to open a location in Madison Valley in 2019. Those expansions have been financed through cash on hand, the co-op said. The co-op had about $23.12 million in cash and equivalents in 2015, according to its most recent annual financial statement. The co-op in the past year also has partnered with Instacart and Amazon on delivery services. PCC, the nation’s largest natural-foods retail co-op, has also been experimenting with in-store concepts, such as taquerias and more open kitchens. The Burien location will include a taqueria, along with a cafe featuring fresh-baked goods, as well as standard PCC offerings of organic produce, meat and seafood, and hot and cold food bars. The Burien PCC project will be designed by Seattle-based Graham Baba Architects.